This may mean that the Xbox 360 console has a hardware problem, possibly with the hard drive. Slide the release, diagonally (down and toward the front of the console), while pulling the hard drive open. On the right-hand side of the console, located the hard drive cover release. It is close to the back of the console. Slide the release towards the front of the console, while pulling the hard drive door open. If the problem persists with the hard drive removed, the console needs repair. Learn how to request a repair. If there is no red light around the power button, reattach the hard drive. 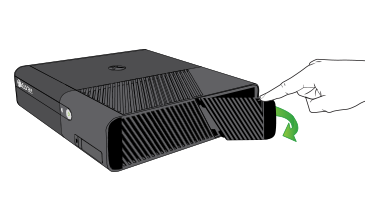 If the problem persists only with the hard drive attached, order a new Xbox 360 Hard Drive from our Xbox Online Service Centre (sign in using your Microsoft account). Console registration is required to replace a hard drive under warranty. 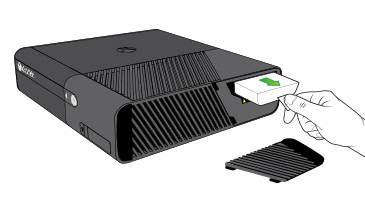 Would you like to contact Support regarding the "Error code E71 occurs and a red light flashes when you use your Xbox 360 console" issue you were reading about or a different issue?